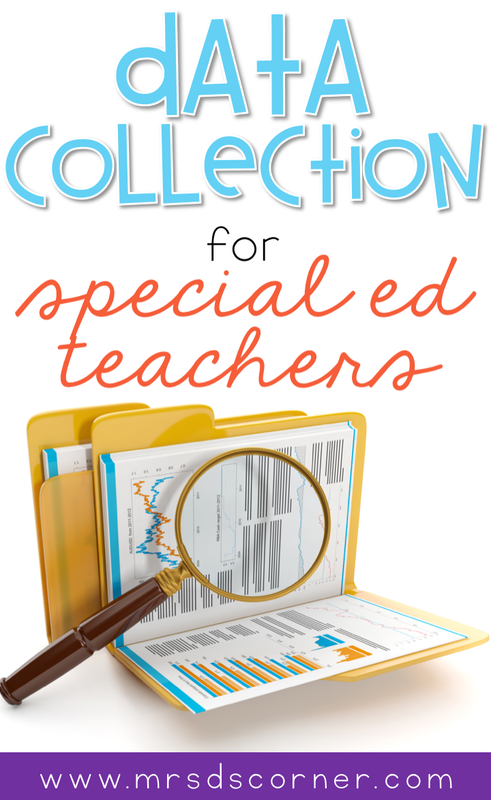 Data collection for special education teachers doesn’t have to be laborious, tedious, or an all day task. As a self-proclaimed data nerd, I am here to tell you that it’s possible to collect data daily and weekly without feeling run down or overwhelmed by all the things. Before you shoot the messenger, hear me out. It took me YEARS. Yes, y.e.a.r.s. to figure out this system. A system that works and has been working for me for over 4 years. I am so confident that this system will help you, that I want to share all of the ins and outs with you today… because in addition to being a data nerd, I’m also a huge advocate in teacher self care. Like, your biggest advocate. The less time you spend progress monitoring, means there’s more time for you to focus your energy on the 198, 370 things that need your attention each day too… leaving you with no extra work to go home with. And no extra work means you can go home and relax and enjoy your family time, your you time. And I know that THAT sounds amazing to you… because it sounds pretty amazing to me! Let’s start with the 5 W’s of progress monitoring and collecting data. THE WHO: Everyone who works with a child should be collecting data. 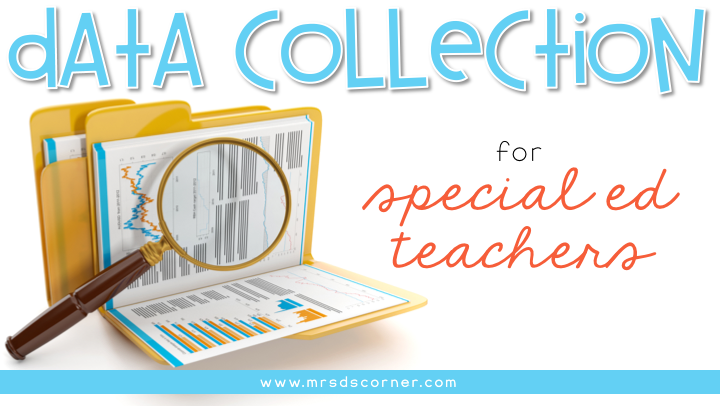 Teachers, service providers, paraprofessionals… all of you need to be collecting data on the child. 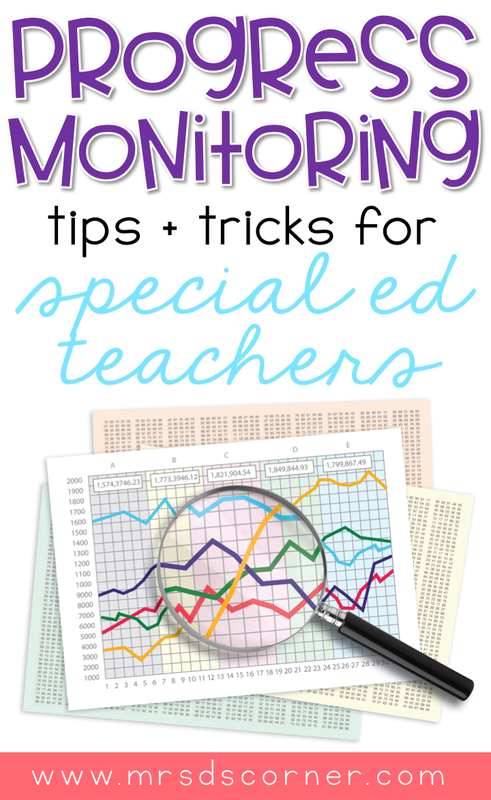 THE WHAT: Collect data on everything that pertains to a child’s IEP goals and objectives, 504, or RTI plan. THE WHEN: You should be collecting data daily… and I don’t mean super formal data every day. The informal data works too! For example, if a child has an IEP goal for following 3-step directions, you don’t just want to collect data in a predetermined setting. You want to collect data across settings, get the real data on the generalization of the skill too. Don’t worry… I’m going to tell you how to do this, and it’s easy! THE WHERE: In all the settings. Again with generalization of the skill. THE WHY: I mean, this should be a given… but it’s our job. One of the biggest and most important parts of our job, helping students succeed and guiding them as they grow, academically and socially and as young adults who are part of a larger community. THE HOW: It all comes down to this… how in the world do I collect data all the time, in all the settings, and get people to help me do it?! The first thing you’re going to need are some supplies. When it comes to taking sticky note data, you want to keep it simple. Use tally marks or a simple + / – system for tracking trials on your sticky notes. Divide the sticky note into how many trials you’ll be collecting data on. 6 trials? No problem… split your sticky note into 6 sections. 10 trials? No big! Divide your sticky note into 10 sections. It doesn’t need to be pretty… it just needs to be functional. Your best option for getting all of the data collected is to divide and conquer. 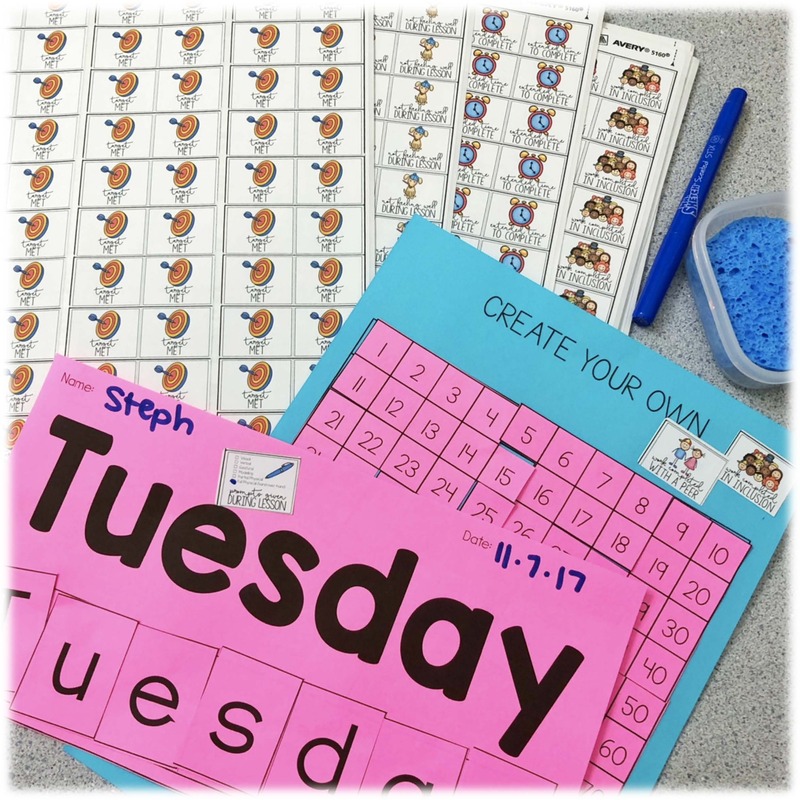 This system is easy enough for regular ed teachers to implement, and simple enough that your paraprofessionals can add this task to their day. After you’ve collected the data on your sticky notes, it’s time to transfer them to one remote place. These Progress Monitoring Binder Rings are (FREE!) a great place to keep all of your data in one place. Read this blog post to learn how to edit and get a binder ring set up for each of your students. I use the sticky notes to keep track of correct/incorrect responses (tallies), and then put the total fraction or percent in a slot on the binder ring. I keep the sticky notes with my weekly plans, that way if I ever need to look back at any of the data, I have it. But the Data Ring is simple and so much easier to look at during progress reports, where I can just type in percents or fractions, instead of filing through tens of sticky notes and deciphering data. To help keep all of my sticky notes organized (please don’t throw them away after you log the trials on your binder ring), and a quick reference point for me to grab all the data for an impromptu parent meeting or a scheduled meeting with admin, each of my students has a color coded IEP binder. The video above will really help explain the ins and outs of how I keep it organized and what exactly I keep inside of it. In addition to using sticky notes to collect data, I also use communication stickers to keep track of accommodations and modifications made while assessing a skill. You send student work home that a child completed with no notes. The parent thinks the child did the work independently, and now (at the IEP Meeting) the parent is questioning why you, the teacher, are saying the child is not able to perform the skill. You’re 5 miles apart and the trust is gone. Same child. Same work. Except this time, you used a communication sticker to let the parent know that the child completed the work hand over hand with someone. Instant communication between all parties and the trust is there. This video is a very in-depth look at everything you need to know about using the communication stickers to help with data collection. You can store them in multiple ways. I started with putting them inside sheet protectors, but they moved around a lot inside the binder. I’ve also cut the sticker sheets up and organized them in bead containers, but the process wasn’t quick enough for me to grab the container, open it up, find the right one… blah blah. Then someone recommended cutting the sticker sheets into strips and storing them on a binder ring. I love this idea because it’s simple and I can easily find what I’m looking for. 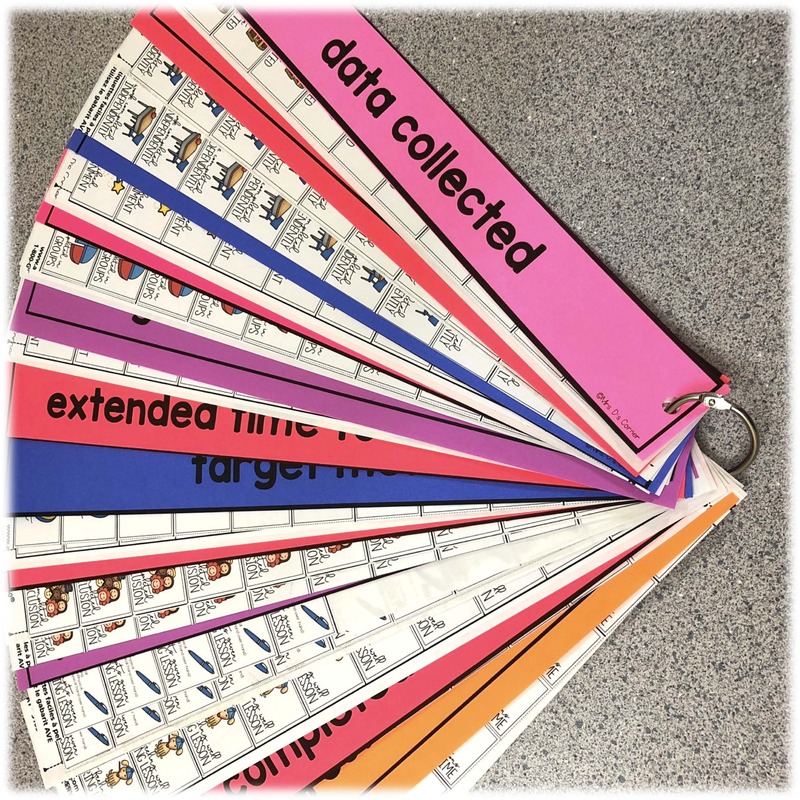 This way is also great for creating individualized sticker rings… easy to grab for inclusion or resource data collection, and non-intrusive of the collection environment. Printing on a Sticky Note – It’s a simple trick that can make your life easier when using sticky notes to collect data. For example, let’s pay close attention to the yellow sticky note. Remember how I said to divide the sticky note into sections to separate trials, or to collect data on more than one student per sticky note?! You can easily create templates for in PowerPoint to have them printed and ready to go. Make it work for you! 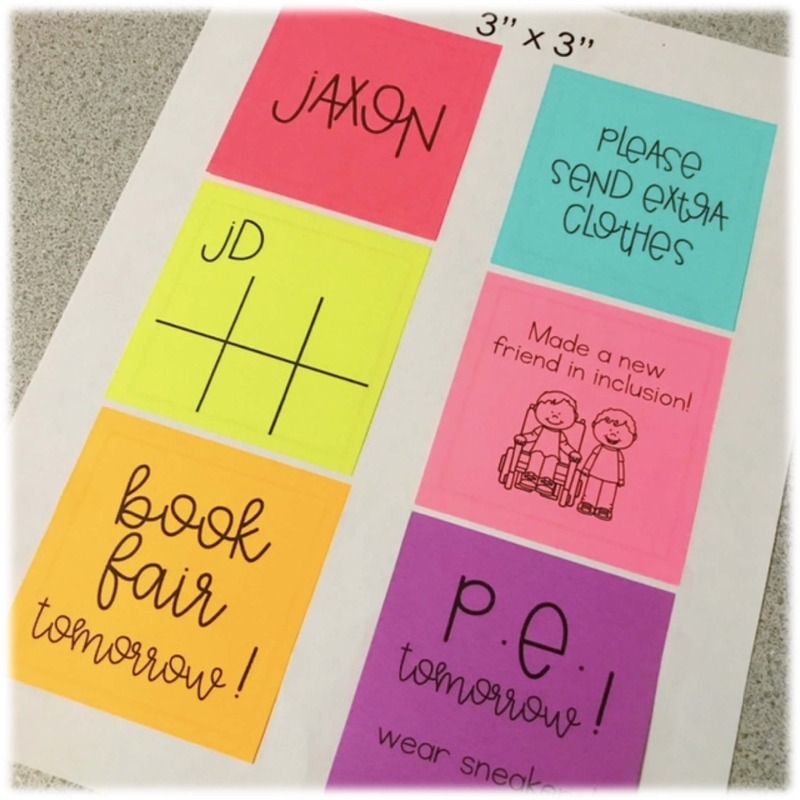 You can also use them as reminders to send home with students. 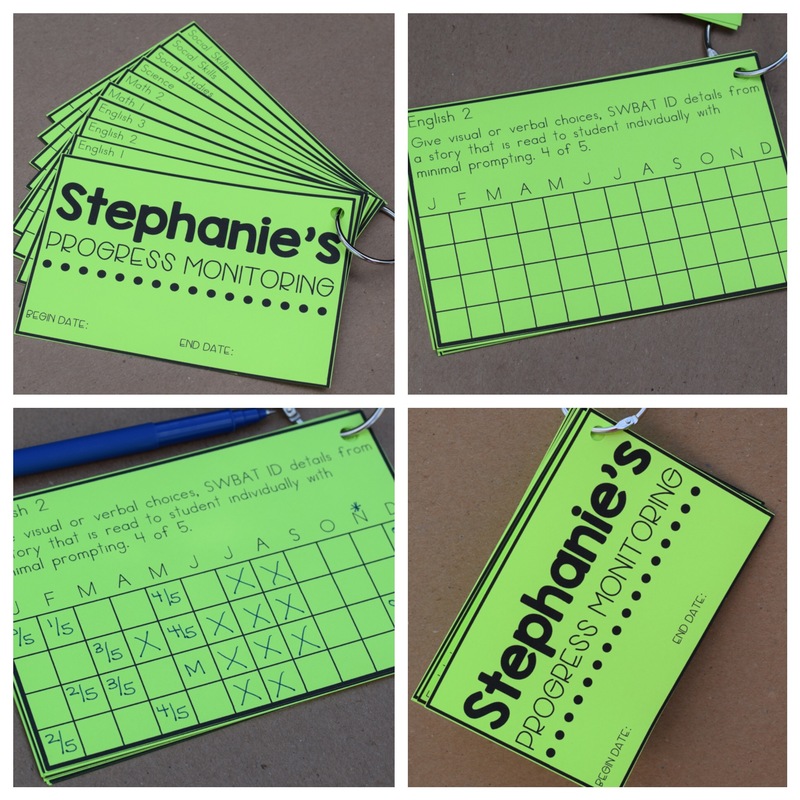 This blog post shares the how to and a free template so you can print on sticky notes too! DIY Timer Clipboard – Save yourself some money and make a timer clipboard yourself. One of the great things about this DIY is that you can literally use any size or color of clipboard. You could even decorate this clipboard before attaching the timer. Or have your students decorate it. Total cost is around $5. 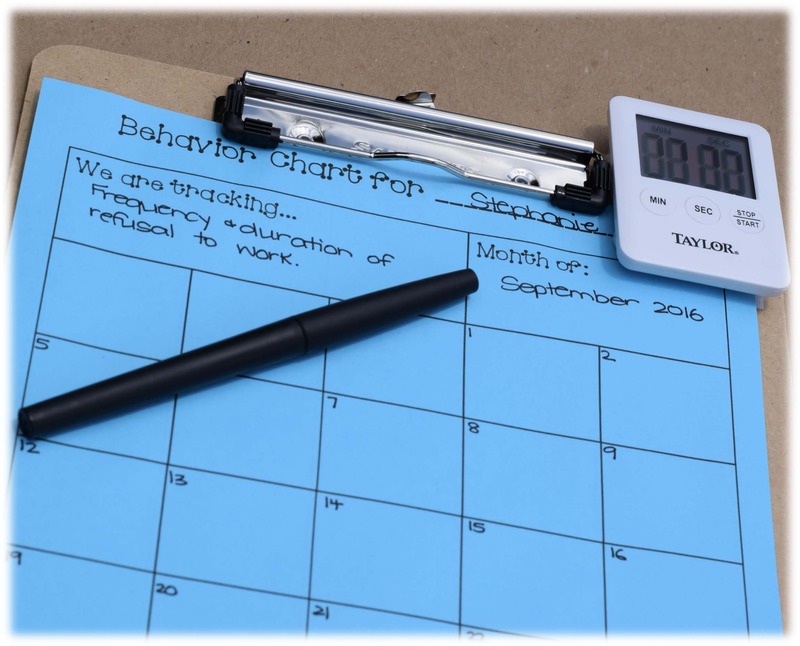 You can find the behavior calendar chart shown above in this resource, as well as over 100+ other editable data sheets. What questions do you still have about progress monitoring and data collection? Leave a comment to let me know! I follow you, use all your stuff, think you are spectacular and a total lifesaver! I may want to be just like you once I get it all figured out. I am a new teacher, second year, and EVERYTHING I have used of yours is my favorite. Can’t even pick just one! I was have just accepted a job in a special Ed classroom unexpectedly as I was thinking I’d be in a general Ed situation. I’m so glad I found your blog! I will be using a lot of your resources in this coming school year! I love your data tracking and color coding tips. Wandering if you have any posts directed at new sped teachers? As a first year SPED teacher, I am truly thankful for coming across your blogs and resources. If only you knew how much you have helped me prepare for this upcoming school year! Thanks again for providing such wonderful resources.